“That’s easy, you can use this block to move the troll,” says Cyrus, a 5th grader at the Casita Center for Technology, Science and Math in San Diego. 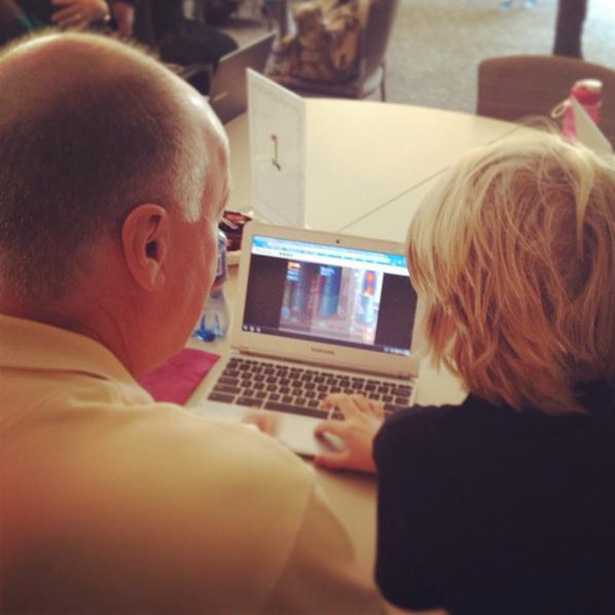 He’s walking a group of teachers and administrators through a coding puzzle on Tynker, helping one in particular who was stuck. Cyrus and a group of 4th and 5th graders presented their programming projects to a group of San Diego educators who were gathered to discuss the integration of computer science into the elementary school common core curriculum. Cyrus and his classmates were part of a successful school-wide coding program started by their teacher, Jenny Anderson, the STEM Coordinator at Casita. Computer programming is intimidating for most adults, with its numbers and formulas and complex series of commands. But not for kids. They pick up new technologies with ease and excitement, and become quite enthusiastic about showing off what they know. 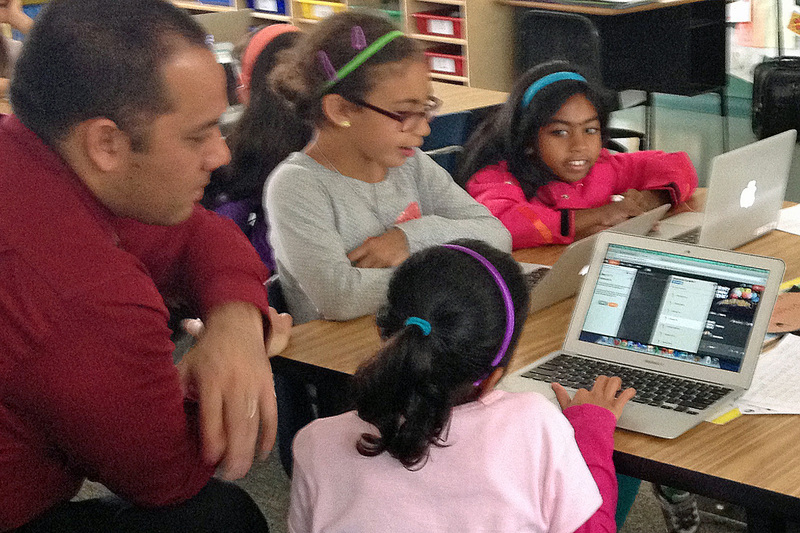 When the Casita kids presented their programs, their confidence, creativity, and excitement for coding shone through. “Kids take their projects home to work on outside of school because they want to. They collaborate on game ideas and in doing that, practice brainstorming, teamwork, and problem-solving.” says Anderson. As a result of her successful demonstration, several teachers across the district have also started using Tynker this year. Without realizing it, kids were showing adults how easy it was to get started on the Tynker platform, and demonstrated how anyone can not only pick up programming principles, but also learn on their own and at their own pace. The energy of the kids was infectious, and it’s that kind of excitement that can make adults realize that coding is something that their kids will love, and can absolutely be implemented in their own schools. This kind of teaching benefits kids and offers deep learning benefits. Teaching is one of the most effective ways to understand and reinforce a concept because it forces us to think about and explain the material in different ways. “Nothing builds self-esteem and self-confidence like accomplishment,” philosopher Thomas Carlyle once said, and this is especially true for young student teachers. “When kids re-teach, their understanding of the concepts increases. 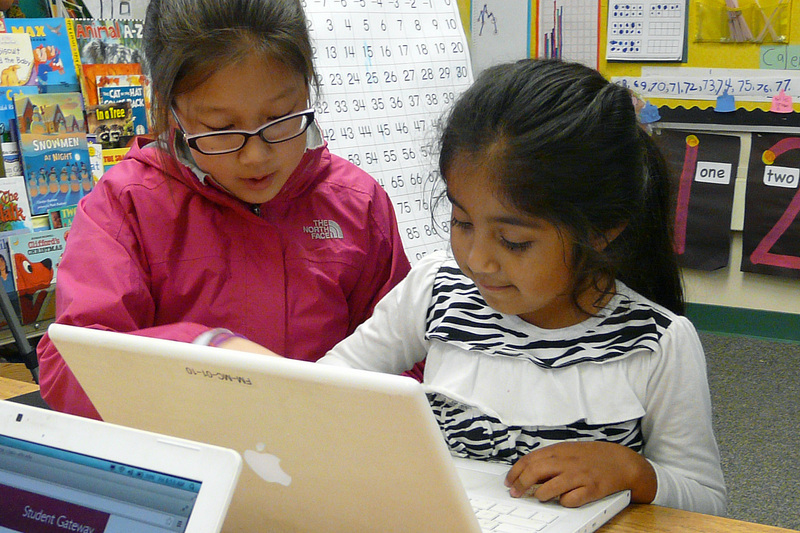 And each child gets a chance to shine, to be a leader, and share what they know,” says Valerie Sabbag, a teacher at Fairmeadow Elementary in Palo Alto, whose 5th grade students mentored kindergartners during the recent Hour of Code. 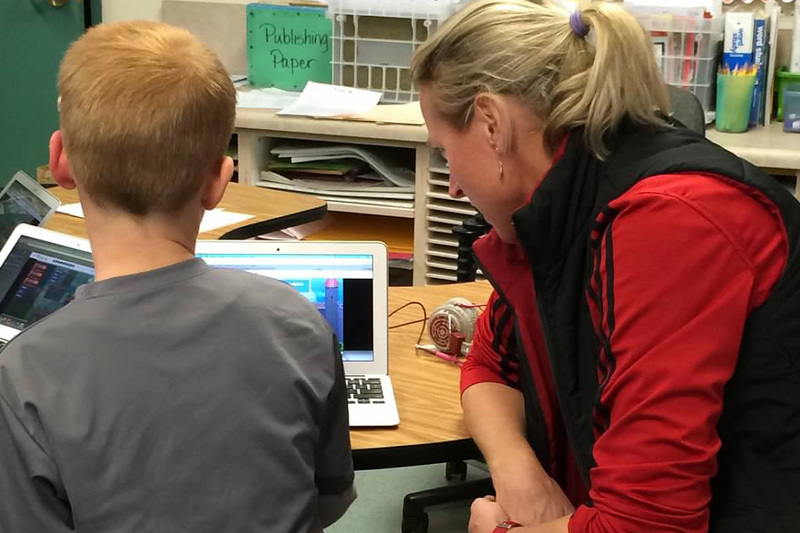 Nearly all of the students at her school did an Hour of Code, even though many of the teachers had not used Tynker before. There’s tremendous satisfaction and accomplishment in seeing the success of a pupil. The opportunity to talk about programming in this capacity secures their belief that what they learned is important and worthwhile, and it’s an excellent springboard to future academic successes. If teachers are trying to promote deeper learning, then maybe it’s as simple as inviting students to demonstrate what they have learned. And for teachers who are trying to get their districts to upgrade their technology curriculum to incorporate coding across all grade levels, why not bring in a few bright and passionate kids to demonstrate the end results? Kids learn, adults become engaged, and everybody wins!